Imagine this: you’re invited to a wine tasting event by your best friend, significant other, or a family member. Just as you begin to picture yourself enjoying the evening by sampling different vintages and blends, a strike of panic hits as you realize that, while you enjoy the occasional glass of wine, you aren’t overly familiar with the terminology that’s bound to highlight the evening. If this sounds like a plausible scenario, you’re not alone. At enJoie, our goal is to provide industry-leading wine education, products, services, and marketing for private and corporate clients. We want to help you enjoy the food and wine lifestyle and learn how it can add fun, flavor, and spice to your life. 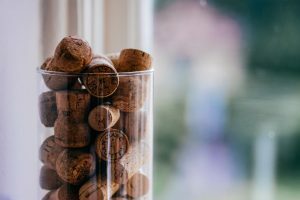 In today’s article, we’ll take a look at some common terms related to wine so that you don’t feel completely lost when you attend your next wine tasting event. Enjoy! 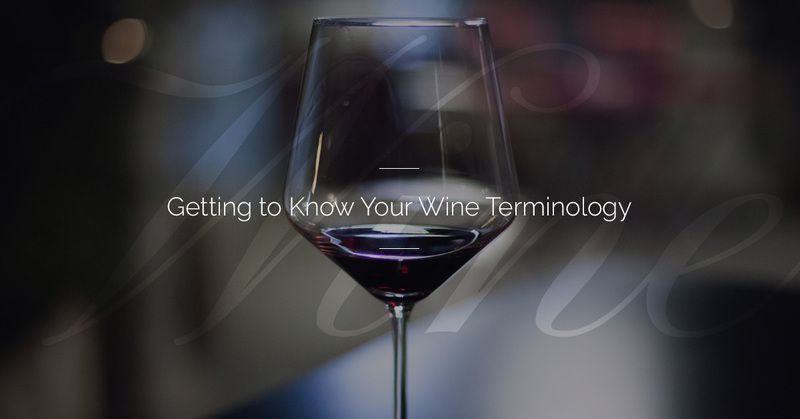 While this list is certainly not exhaustive, it serves to provide some universal terminology to help you become acquainted with wine. Let’s dive in! The fresh, sour, and tart attributes of wine. Most wines fall between 2.5 and 4.5 on the pH spectrum, and there are primarily three acids found in wine grapes: tartaric, malic, and citric acids. A defined and protected geographic region where the grapes for wine are grown. How full or heavy a wine feels in your mouth. 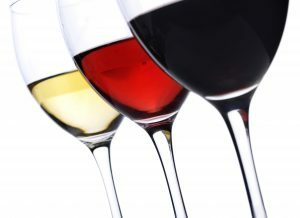 Full-bodied wines feel more heavy whereas light-bodied wines feel more bright and delicate. The smell of an aging wine, caused by chemical reactions during the fermentation and aging processes. Transferring wine from one container to another (usually a decanter) to aerate wine and allow it to breathe. The process by which a substance is broken down chemically, usually by yeast, bacteria, or other microorganisms. In the case of wine, yeast is used as a catalyst. An indicator of quality, this is last impression of a wine and is defined by how short or long the wine’s flavor remains on the palate after it has been swallowed. The finish may be long or short. Tasting wines from different wineries that are of the same vintage (produced in the same year). An oversized wine bottle that’s the equivalent of two standard 750ml bottles. Typically used to describe white wines, this term refers to how earthy a wine tastes and/or smells. Describes wines that are matured in oak barrels. Oak chips may also be used depending on the application and maturation process. Wine that is oaked may take on notes of butter, vanilla, and caramel. Begins when a bottle of wine is opened and brought into contact with oxygen. Excess exposure to oxygen can “flatten” wine as it loses its color, flavor, and aroma. An element in grape skins that provide structure for red wine. Tannins make wines taste dry, adding complexity to the flavor. Because of different fermentation processes, red wines are high in tannins whereas white wines are typically not. There are also wood tannins imparted to wine that has been aged in oak barrels. A French term that translates to “earth” or “soil.” This refers to how the weather, topography, and other geographic characteristics of a growing region affect the flavor of wine. Highlights the differences between vintages by tasting same wines by the same wineries that were produced in different years. Wine that is produced from grapes that are harvested in the same year, or very close to the same year. Nonvintage wines are blends made from grapes harvested over the course of two years or more. Now that you have a basic understanding of some of the more commonly used wine terms, why not host your own wine tasting event for your friends and family? The team at enJoie provides customized services from selecting a theme, coordinating with vendors, and delivering wines to your event. We’ll also provide entertaining and relevant wine education throughout the course of your event. Contact us at 646-265-1739 to learn more!